T. Boone Pickens loves his country. One of his lifelong regrets was the inability to serve in the military. The timing never worked for him — he too young in World War II and by the time of the Korean and Vietnam conflicts, he had young children and was deeply involved in growing Mesa Petroleum. He tried to compensate over the years by the Foundation giving enthusiastically to programs and organizations that benefit those who have put their lives on the line for this great nation. Each year the Congressional Medal of Honor Foundation holds a special ceremony in the shadow of the Tomb of the Unknowns on March 25th (National Medal of Honor Day), during which it recognizes three ordinary Americans who have accomplished extraordinary acts of service and bravery for the sake of others. The Foundation has supported The Citizen Service Above Self Honors, which celebrates the stories of everyday “heroes” in America. 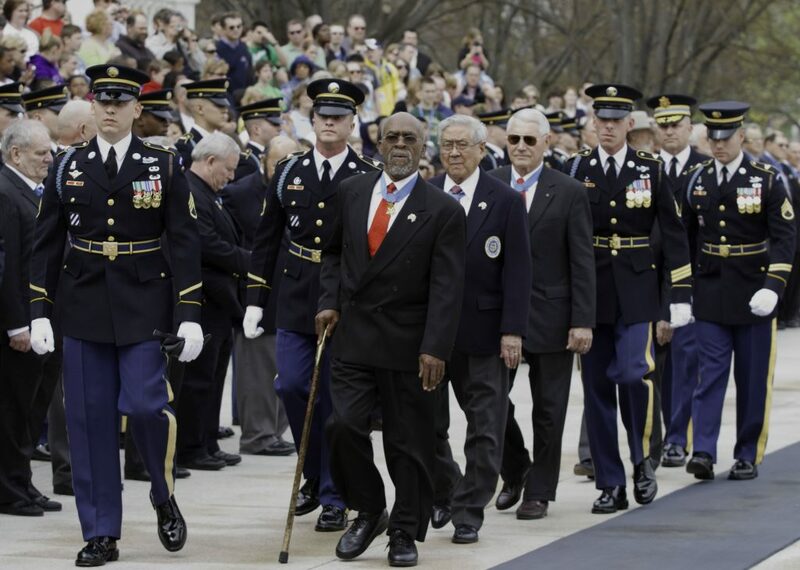 The fewer than 100 living Medal of Honor recipients, who have been on the receiving end of countless accolades and respect from the American public for their extraordinary valor and selflessness, banded together in 2007 to create a national platform to promote “Service before Self.” At the heart of this initiative is the Citizen Honors, which recognizes and honors ordinary Americans who are extraordinary by going above and beyond on behalf of their fellow man either through a single act of heroism involving risk to one’s life or by demonstrating a profound long-term commitment to service above self. The theme is that every day in the United States, ordinary citizens perform extraordinary deeds. The Congressional Medal of Honor Foundation is committed to working to change these perceptions by continuing to use our platforms to inspire and celebrate unsung acts of courage and self-sacrifice around the country. The Fisher House Foundation is a unique private-public partnership that meets a humanitarian need for American military personnel beyond that normally provided by the Departments of Defense and Veterans Affairs. The Fisher House Foundation donates “comfort homes,” built on the grounds of major military and VA medical centers, which enable family members to be close to a loved one at the most stressful times — during the hospitalization for an unexpected illness, disease, or injury. 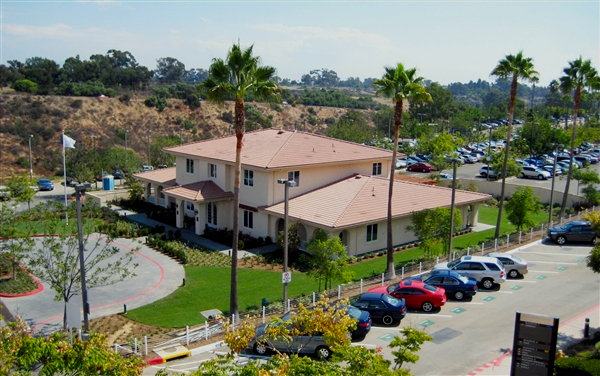 The Pickens Foundation donated $1.7 to help construct two Fisher Houses, one in Dallas near the Dallas Veterans Affairs Medical Center and another in San Diego at the San Diego Naval Medical Center. The Texas facility includes 21 suites, a communal kitchen and laundry facilities for families of military veterans receiving aid at the Dallas VA hospital. Because members of the military and their families are stationed worldwide and must often travel great distances for specialized medical care, the Fisher House Foundation donates comfort homes enable family members to be close to a loved one at the most stressful times — during the hospitalization for an unexpected illness, disease, or injury. The Foundation has long supported Texas-based Patriot PAWS, a non-profit organization that trains and provides service dogs at no cost to disabled American veterans and others with mobile disabilities in order to help restore their physical and emotional independence. 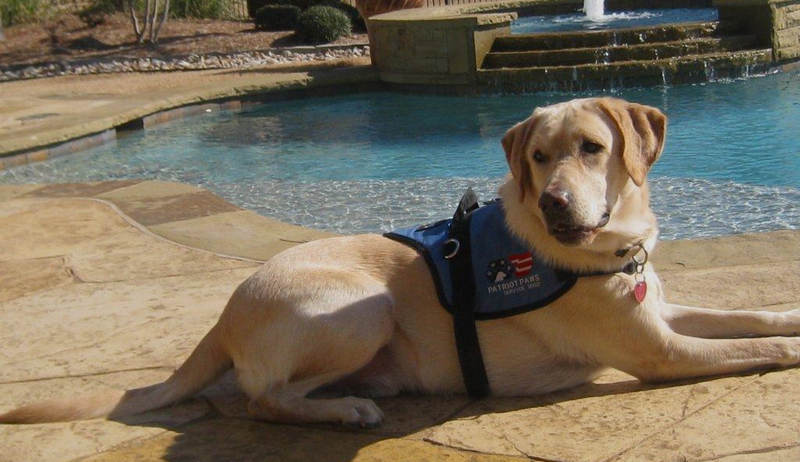 Patriot PAWS, a certified member of Assistance Dogs International, trains service dogs to perform various behaviors, including help for patients with post-traumatic stress (PTS). The primary goal of the organization, founded in Rockwall in 2006, is to increase an individual’s self-sufficiency; services performed by each dog depend on the needs of the owner. Once fully trained, Patriot PAWS dogs select the veteran whom they wish to serve by working with multiple applicants over a period of several days. It usually becomes apparent rather quickly which person the dog is bonding with and working for more diligently. Once fully trained, Patriot PAWS dogs select the veteran whom they wish to serve by working with multiple applicants over a period of several days. 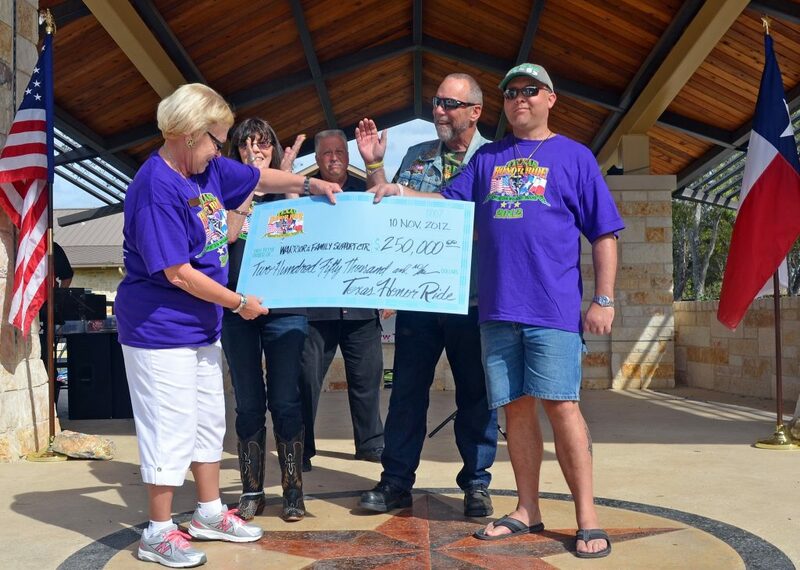 The Foundation has supported the Texas Honor Ride, a charity that has raised more than $1.6 million for wounded U.S. military personnel and their families at Brooke Army Medical Center in San Antonio, Texas. The Texas Honor Ride’s mission is “to honor, directly help and improve the quality of life of our wounded warriors and their families who are recovering at the Brooke Army Medical Center.” The annual November fundraising ride travels from Houston to Ft. Sam Houston. The Pickens Foundation was a major sponsor of the 2012 November police-escorted ride, which followed I-10 from Houston to Freedom Park on the Fort Sam Houston base in San Antonio. BAMC (pronounced “bam-see”), located at Fort Sam Houston, is one of two highly specialized military trauma hospitals that serves the needs of very critically wounded soldiers. BAMC is also the U.S. military’s burn trauma center. The doctors, specialists, staff and facilities at BAMC are among the best in the world and paid for by the U.S. government. Wounded troops assigned to BAMC often spend long periods of time recovering from their injuries. A majority of them spend more than one year recovering at the facility. The wounded warriors must stay (live) very close to BAMC’s 24-hour facility and staff in case complications from their injuries develop. The Foundation has supported fundraising and raising awareness events for UCLA Operation Mend, a nonprofit organization that helps military personnel in need of reconstructive and plastic surgery. Operation Mend, established in 2007, is a pioneering program that combines the best of the military’s resources with the skills of UCLA Health System for a comprehensive and collaborative approach to healing United States military personnel wounded and disfigured in post 9/11 service. In a partnership with Brooke Army Medical Center (BAMC), a leading burn and rehabilitation center in San Antonio, Texas, the V.A. 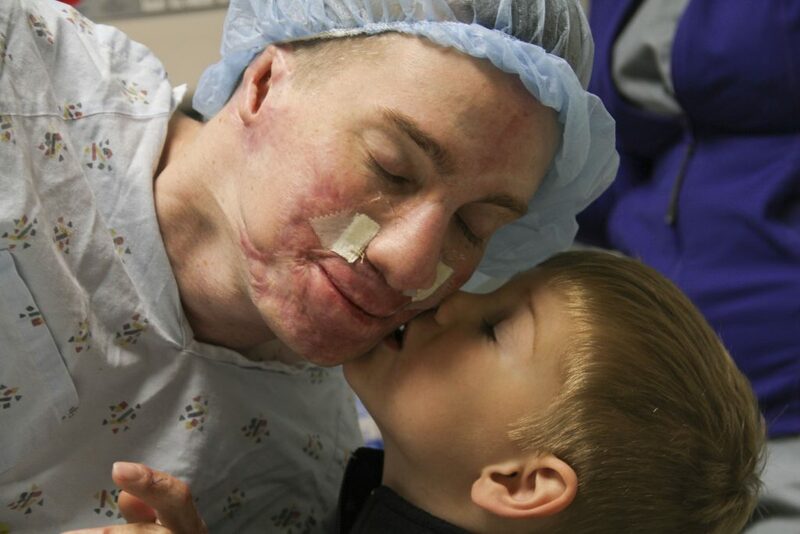 Greater Los Angeles Healthcare System, and UCLA Health System, Operation Mend started with facial reconstruction. The program has since expanded in order to optimize healing — body, mind, and spirit. In addition to plastic and reconstructive surgery, mental-health support (for warriors and their families), orthopaedical reconstruction for severely damaged limbs, urologic treatment, otolaryngologic care, the examination and treatment of reproductive issues, repair of airways, and design of new prosthetic ears are provided. The average cost for each patient served by Operation Mend is about $500,000. USO Dallas/Fort Worth is a non-profit organization that serves personnel in all branches of the military — active duty, National Guard, reserve, retirees, and authorized family members. While USO/DFW supports traveling veterans throughout the year, volunteers ramp up their efforts at D/FW International Airport during the holidays. The Foundation supported USO D/FW for many years. More than 400 USO D/FW Volunteers were on hand 24/7 during the program to welcome home the troops, serve hot chocolate, coffee, water, soft drinks, donuts, fruit, soup, breakfast sandwiches, and snack bars, etc., as they arrive at D/FW Airport, many in the middle of the night. For some, the Dallas-Fort Worth area is home. For others, the airport represents a layover until their flight departs for cities across the United States. For these troops, volunteers in the USO Center (located at Terminal B, Gate 15) represent a friendly face and a touch of home to those men and women who will spend hours anxiously waiting for their connecting flight to take them home for Christmas. 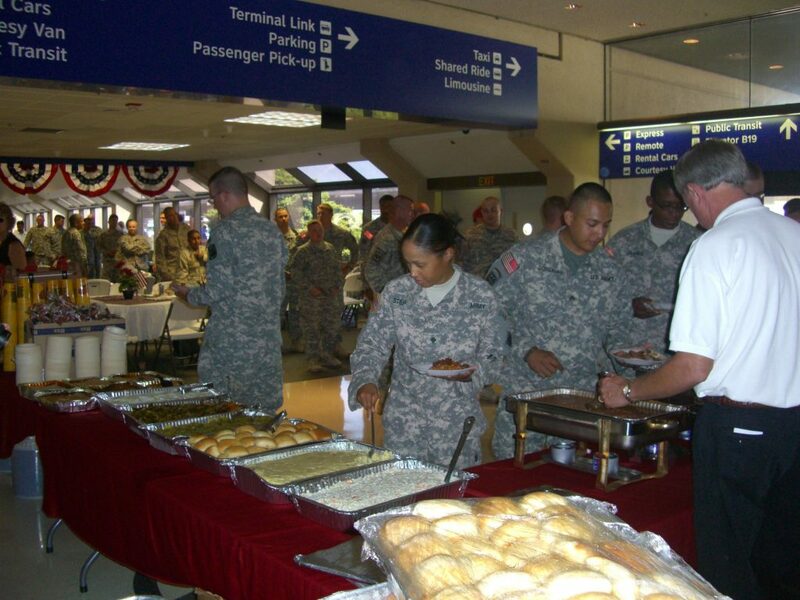 The USO D/FW, one of only two U.S. airport locations accommodating the Army’s Rest and Recuperation program, provided nourishment to thousands of military personnel who travel through the D/FW Airport during the holidays, including formal dinners served on Christmas Eve and Christmas Day. Among the services the organization has provided military personnel returning to duties in Iraq or Afghanistan at its Terminal B location (at Gate 39 on the secure side) at the Dallas/Fort Worth International Airport is its United Through Reading® Military Program, which offers a meaningful opportunity for powerful emotional connections that help relieve the stress of separation by having deployed service members read aloud to children via DVD. The Foundation has been an ongoing supporter of Pennsylvania-based Veterans’ National Education Program, whose mission is to help students become engaged, thoughtful citizens by expanding their knowledge base, developing vital critical thinking and decision-making skills, and enhancing their understanding of America’s most cherished values. Formerly a part of the Pennsylvania Veterans Museum, the nonprofit focuses entirely on educational outreach. Through documentaries and a virtual classroom, VNEP aspires to enlighten and inspire the youth and citizens of the United States by providing historically accurate, relevant educational resources, with a focus on events “as seen through the eyes of veterans.” The board is comprised of former military officers and educators who firmly believe that our greatest hopes for the future rests with an intelligent and informed citizenry, particularly as it relates to the education and preparation of our youngest citizens. 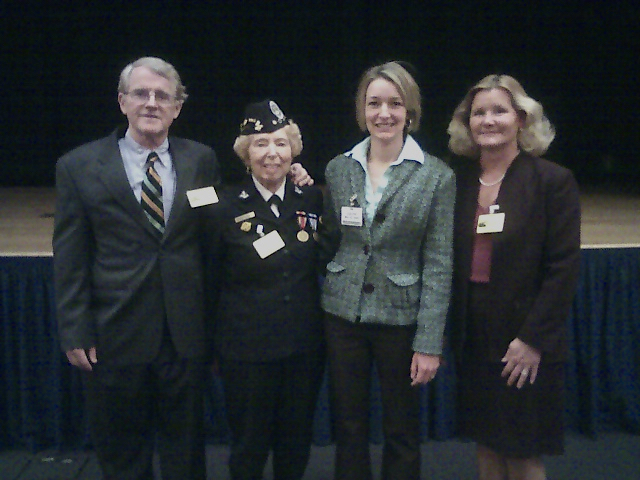 The organization’s mission includes teaching military history (WWII, Korea, Vietnam, Iraq and Afghanistan) through the stories of those who have served, helping students become engaged, thoughtful citizens by expanding their knowledge base, developing vital critical thinking and decision-making skills, and enhancing their understanding of the United States’ most cherished values: honor, liberty and freedom, and promoting national pride and bolster a positive national image of America’s veterans. The Admiral Roy F. Hoffmann Foundation was initially funded from John O’Neill’s share of the royalties from his 2004 best-selling book, Unfit for Command: Swift Boat Veterans Speak Out Against John Kerry. Mr. O’Neill, who was entitled to receive nearly $1 million from his co-authorship of the book, assigned all rights and control of the royalties to endow a foundation to honor Rear Admiral Roy F. Hoffmann, USN, Ret., for his leadership of Task Force 115 in Vietnam; and for his founding and leadership of Swift Boat Veterans and POWs for Truth. Boone Pickens donated $2 million to the Foundation, and Swift Boat Veterans and POWs for Truth donated more than $1.1 million. The Hoffmann Foundation, which ceased operations in 2009, granted more than $4 million through May 2009, and 490 grants ranging from $4,000 to $12,000 were awarded directly to severely wounded warriors and their families. The Foundation has long supported the Greater Dallas Veterans Foundation, an all-volunteer organization of mostly Veteran officers committed to honoring veterans throughout the community, and its Annual Dallas Veterans Day Parade. The GDV Foundation also supports homeless veterans through the Homeless Veterans Services of Dallas (HVSD). Partnering with the HVSD allows the Greater Dallas Veterans Foundation a broader platform to aid the veteran needing more help. Pickens has long supported the fundraising gala for the San Diego-based Flying Leatherneck Aviation Museum, a one-of-a-kind U.S. Marines aviation museum supported by the Flying Leatherneck Historical Foundation. This command museum is the only museum in the world dedicated to preserving the incredible contributions made by Marine Corps aviators and their ground support personnel. The Foundation has supported England’s Imperial War Museum, which strives to be the world’s leading authority on conflict and its impact – focusing on Britain, its former Empire, and the Commonwealth, from the First World War to the present. Its vision is to enrich people’s understanding of the causes, course and consequences of war and conflict. The Foundation has been a program supporter for the New Orleans-based National World War II Museum, tasked by Congressional designation to be the country’s WWII national museum. The museum’s mission was to create and maintain a world-class museum campus of pavilions and exhibitions that engage worldwide audiences by providing access to its collections, exhibits, and oral histories through innovative outreach, distance learning, new media, and creative museum experiences and inspire people, young and old, to embrace the lessons of this monumental global conflict from its stories of heroism, human tragedies, voices of liberation, and the fruits and responsibilities of victory. Pickens has supported fundraising events for the SEAL–Naval Special Warfare Family Foundation, which provides immediate and ongoing support and assistance to the Naval Special Warfare community and its families. During a 2013 Del Mar Country Club fundraiser, he participated in fund matching that helped raise money $1.6 million donation for the SEAL foundation. The Foundation’s continued event sponsorship has supported the SEAL Legacy Foundation, which is dedicated to providing support to families of wounded and fallen United States Navy SEALs, educational assistance for SEALs and their families, and other charitable causes benefiting the SEAL community. he Austin-based SEAL Foundation, established in 2011, was founded and is run by SEALs. The SEAL Legacy has been developed and fostered for the more than 50-year history of the United States Navy SEAL Teams. The Foundation has supported events involving The Texas Legislative Medal of Honor, the highest military decoration that may be awarded to a member of the Texas Military Forces. This includes Texas Air National Guard, Texas Army National Guard, and Texas State Guard. This medal may only be awarded to federal military personnel, or state military personnel who serve in the Armed Forces of the State of Texas. The Foundation has supported the Vietnam Veterans of America, the only national Vietnam veterans organization congressionally chartered and exclusively dedicated to Vietnam-era veterans and their families. By the late 1970s, it was clear the established veterans groups had failed to make a priority of the issues of concern to Vietnam veterans. As a result, a vacuum existed within the nation’s legislative and public agenda. In January 1978, a small group of Vietnam veteran activists came to Washington, D.C., searching for allies to support the creation of an advocacy organization devoted exclusively to the needs of Vietnam veterans. VVA, initially known as the Council of Vietnam Veterans, began its work. Its goals are to promote and support the full range of issues important to Vietnam veterans, to create a new identity for this generation of veterans, and to change public perception of Vietnam veterans.